Cruise ships are getting bigger and better. But one thing that will never be topped by even the most glamorous ship is the exclusive private island experience. Here, six private-island paradises you can only reach by cruise ship. 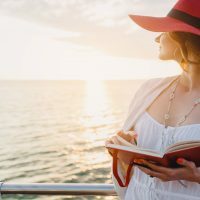 Royal Caribbean has upped the ante on the cruise ship private island game with their new Perfect Day Island Collection. This will be a series of private island destinations around the world, starting in the Bahamas with Perfect Day at CocoCay. Once the island emerges in 2019, guests can expect an unparalleled cruise port vacation experience with the first overwater cabanas in the Bahamas; the largest wave pool and largest freshwater swimming pool in the Caribbean; and the tallest waterslide in North America. 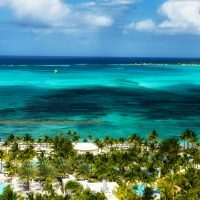 Perfect Day at CocoCay will also provide a remarkable dry experience via the highest vantage point in the Caribbean — up to 450 feet — by climbing into a tethered helium balloon. 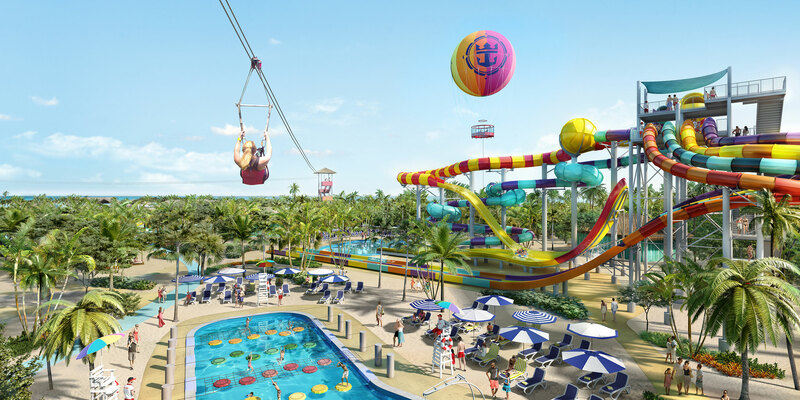 At the heart of CocoCay is the Thrill Waterpark, featuring two water towers with a total of 13 slides, including the 135-foot-tall Daredevil’s Peak, fully vertical Screeching Serpent, and a kid-friendly obstacle course pool. Families will also love the Family Tower with six multi-rider slides. Splashaway Bay will give kids even more buckets of fun thanks to fountains, pools, sprinklers, geysers, water cannons and whirlpools — plus five kid-size waterslides and two massive drench buckets. And then there’s the 1,600-foot zipline, which culminates in the only splash water landing in the region. Private cruise ship islands will never be the same! 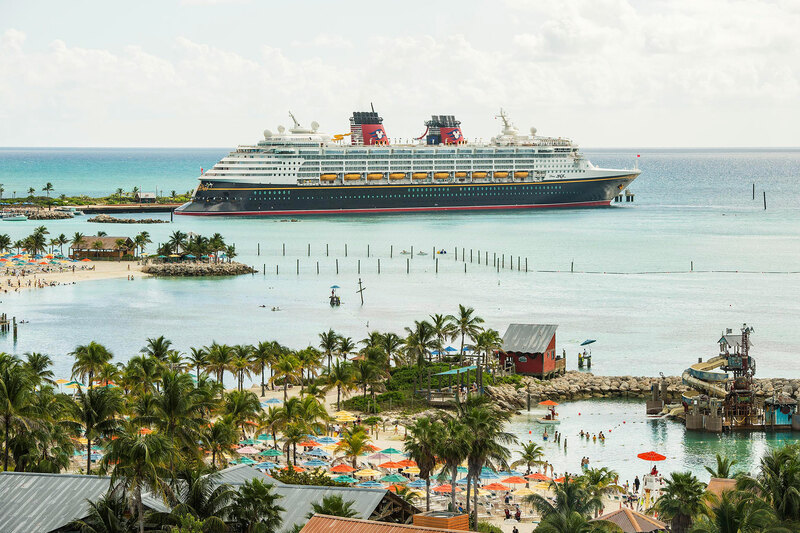 Disney’s Castaway Cay may just be our favorite island in the Bahamas. The standout star of this glamorous private island in the Bahamas is Pelican Plunge, a floating paradise of waterslides on a 2,400-square-foot platform in the ocean. For younger cruisers stopping at Castaway Cay, it’s all about Scuttle’s Cove, a 1,200-square-foot water play area with a soft wet deck and an array of jets, geysers, and bubbles. Also available on this private Disney island are giant water cycles, paddleboats, sea kayaks and snorkeling gear to find sunken treasures — including a submarine from Disney’s “20,000 Leagues Under The Sea” and a submerged stature of Mickey Mouse! Families looking for an interactive animal excursion can opt for a one-hour stingray experience in a private lagoon. Teens have their own area on Castaway Cay, called the Hide Out, where they can snorkel, bike, and kayak through the island and finish with lunch with their peers. 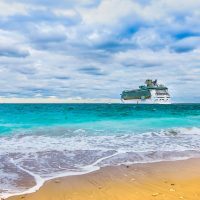 This tranquil private destination on the southern tip of the island of Eleuthera in the Bahamas offers cruise passengers exclusive access to a tropical oasis with a Banana Boat Ride! The unmissable neon yellow banana powerboat is a wet and wild thrill ride for the whole family. On Carnival’s Princess Cays private island, there is also snorkeling and kayaking, windsurfing, aqua chairs, and Hobie Wave catamarans. As if it couldn’t get better on Princess Cay, all guests enjoying a day on this private island will be treated to a complimentary beach barbecue. Great Stirrup Cay has the distinction of being the very first private island to be owned by a cruise line and turned into an exclusive cruise vacation destination. Nowadays, this 250-acre island features a complimentary taco bar (as well as other dining choices and bars), private beach cabanas, a lagoon enclave with a secluded pristine beach, Oceanview restaurant, a spa waiting to pamper you, air-conditioned villas, and a sheltered family zone. Families who enjoy snorkeling together will not want to skip the chance to tour Norwegian’s unique Underwater Sculpture Garden in the pristine blue waters of Bertram’s cove. During this peaceful experience, kids and adults alike will be in awe of the mermaids, sea creatures, and fountains found under the sea. For something more high octane on Great Stirrup Cay, try parasailing or a 45-minute guided jet ski tour through the Berry Islands. A hands-on animal experience is available, too, at Stingray City, where families are able to feed, pet and play with stingrays. On Royal Caribbean’s private island, Labadee, you’ll find the world’s longest zipline over water! The 500-foot Dragon’s Breath offers daring passengers a serious adrenaline rush, reaching speeds of up to 50 mph! Little kids will love Adventure Ocean Oasis, a water play area with fountains, buckets and geysers making sure the tiniest of tots stay cool and happy. Bigger kids and their fun grownups will enjoy the Arawak Aqua Park in Columbus Cove. At this floating water park are trampolines and waterslides. Rounding out the fun on Labadee is the Dragon’s Splash Waterslide, a 300-foot slide that finishes in a splash zone. The dominate feature of this private island, reachable by a tender boat, is the massive wooden pirate ship and the kids’ lagoon water play area. Shoot water cannons, play with marine life shaped water toys and get sprayed to stay cool as you and your kids spend the day in the exclusive luxury of this private island paradise.